Google Code-in (GCI) is an annual programming competition hosted by Google Inc. that allows students between 13 to 17 years of age to complete tasks specified by various partnering open source organizations. This year 3,124 students from 77 countries who completed 15,323 tasks with 27 open source organizations. 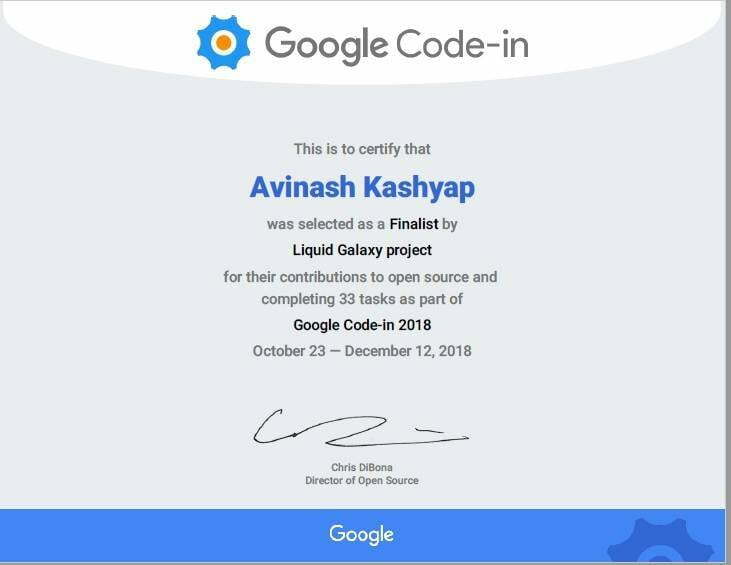 Around 25 students of class 11 from our school participated in this contest and AVINASH S.KASHYAP of 11B was selected as a finalist in Liquid Galaxy project at the International Level.